Lauki, a common vegetable in India, is found in every season. The various Lauki recipes have their significance from ancient times. Lauki is found world-wide. It is also known by several names like Calabash, Bottle-gourd, Ghia and Dudhi. It comes in different shapes and sizes like: oval, elongated and pear-shaped. Lauki is used to make dishes like halwa, curries, soups, etc. Lauki has many benefits. It has high fibre which relieves a person from constipation and indigestion. Its juice is used in the treatment of acidity and, also, is helpful in maintaing the blood pressure, healthy heart, weight and sugar in the body. Lauki has 96% of water which helps in weight loss. Lauki acts as stomach-coolant. It is full of Vitamin C. Lauki should be included in your weekly diet chart because of its healthy nature. Some people, even kids, don’t like Lauki. You take the name and notice their reaction! 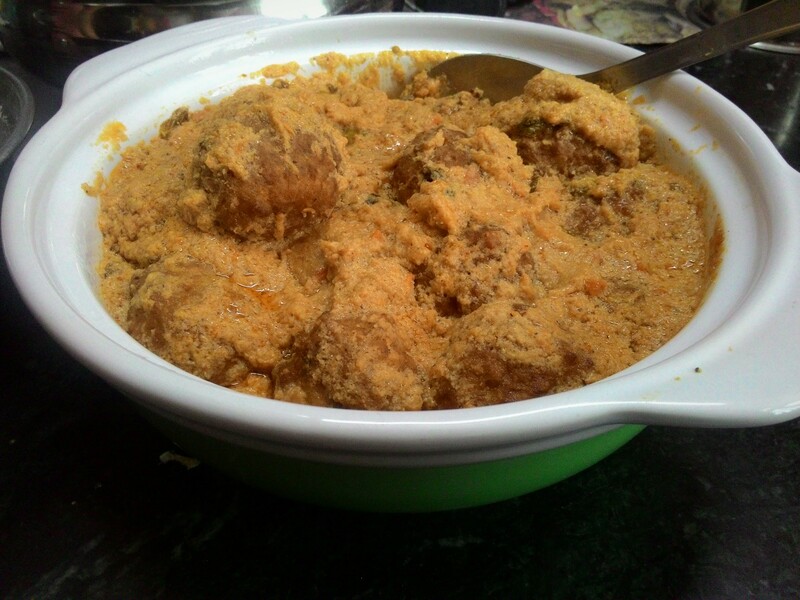 Try out Lauki Ka Kofta and I promise you will only get praise. Make this nutritious and yummy dish for your family. I am sure they will love it. Take grated lauki in a bowl. Add little salt to it. Squeeze out excess water in a pan. Retain the water. Later add this water in gravy while cooking. 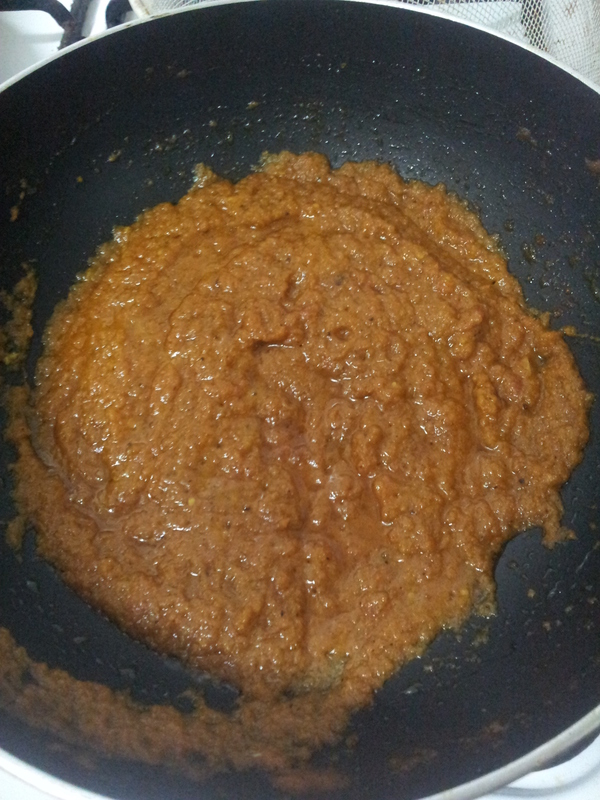 Add 1/2 tspn zeera (cumin) powder, 1/4 tbsp garam masala and a pinch of red chilli powder, besan and cornflour to it. Mix well. 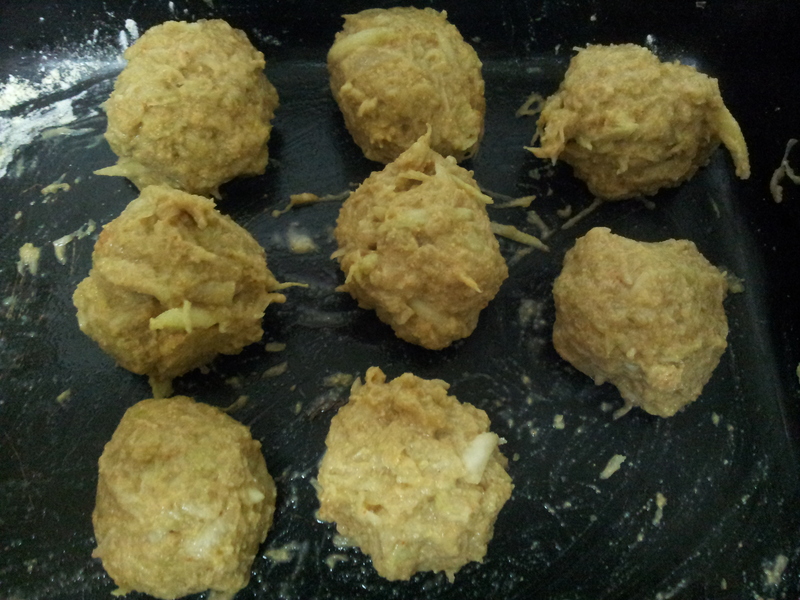 Make round balls or koftas. Then take oil in a frying pan. 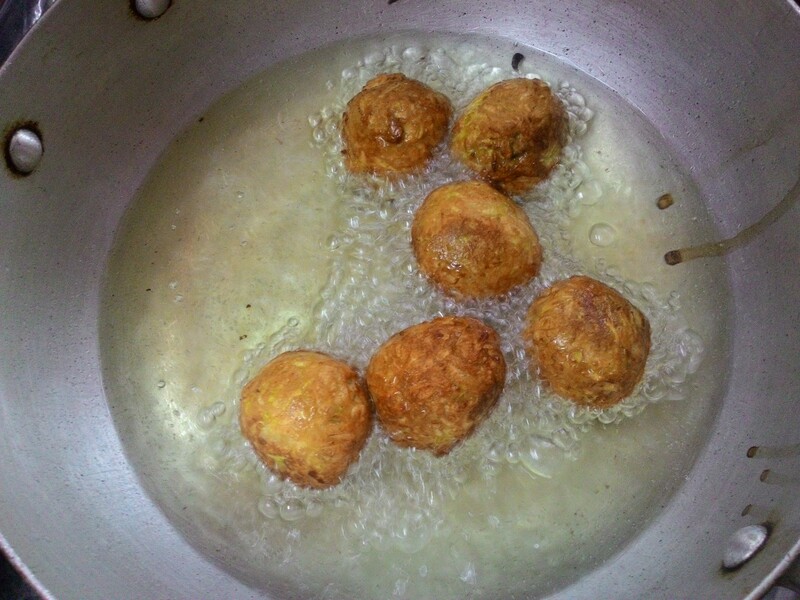 After heating oil, at the correct time fry koftas on low flame until it becomes golden brown in colour. After frying, dry it on paper towel to remove excess oil. Koftas are ready. Keep it aside. In a cooking pan or wok take 2 tbspn oil. Heat it. Add onion paste to it and fry until it becomes golden brown in colour. (While the onions are getting fried, make a paste of tomato, cloves (laung) and black-pepper). Once tomato paste is done, in the grinder make paste of posta ka dana, coconut and curd. Keep it aside. Lauki Ka Kofta just before putting that extra 400 ml of water. Add ginger-garlic paste to the fried onions and fry it for 30 seconds. Then add tomato paste which we already prepared. Adjust the flame during cooking. Now add the posta ka dana mixture to the pan and stir it for 3-4 minutes. Add pinch of cinnamon to it and all the above-written spices haldi, dhania and zeera powder. Add salt and red chilli powder according to taste. 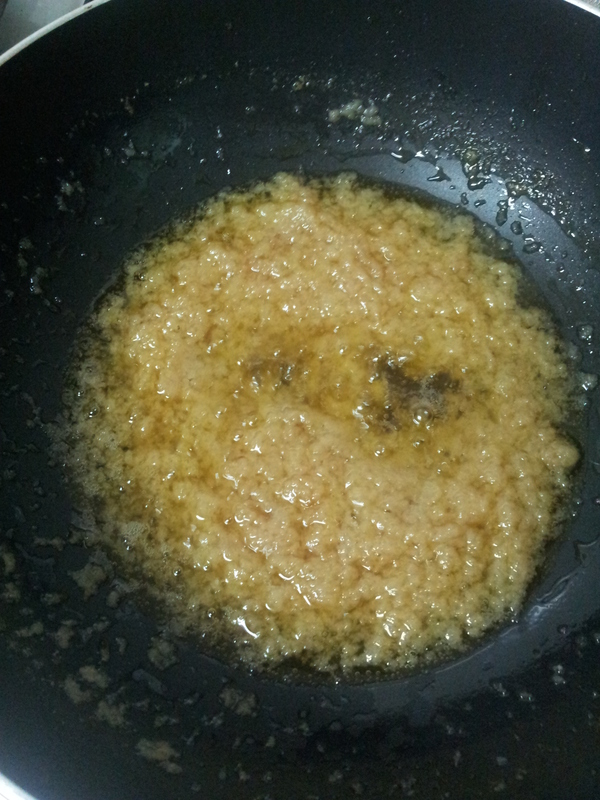 Fry it for two minutes, add little amount of water to avoid burning the mixture. Cover the lid for 10 minutes. After 10-15 minutes the tomato-onion gravy will start leaving the oil. Now open the lid of the pan and add 400 ml of water to it and cover the lid until it gets cooked properly for 20-25 minutes. In between, keep checking and stirring the gravy. When gravy becomes thick, add koftas to it. Cook for 2 minutes more and put off the flame. Leave the cooked food for 5 minutes as it is. Lauki Ke Kofte are ready to eat! Then transfer it into the serving bowl. Garnish with green coriander. Serve it hot with parathas or Zeera rice. Eat a healthy, nutritious and yummilicious food! Stay healthy! The posta ka dana, coconut and curd mixture is completely optional. But don’t skip this part when you are inviting friends for dinner. This is the secret ingredient of your recipe! Shshhh! !